Use Google to learn a Quick Facts each day, Go to www.google.com and search "Fun Facts", you will get some interesting information to read. The result could be any fun facts from any of the information in this world or out of the world. Give it a try, you will be surprised with some of the facts. <textarea id="textarea" class="common"></textarea> - Type Message here and press Enter. Post your comments and query for any help. 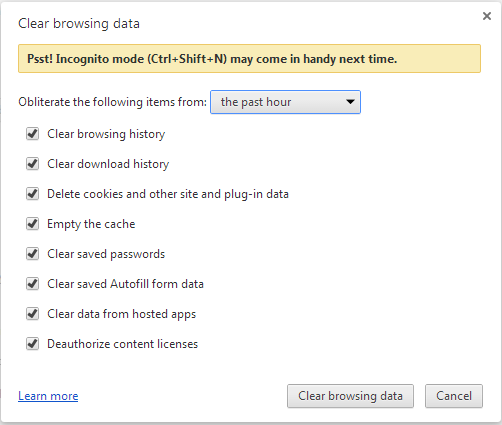 1. why should chrome warn us with a message when we clear browsing history? 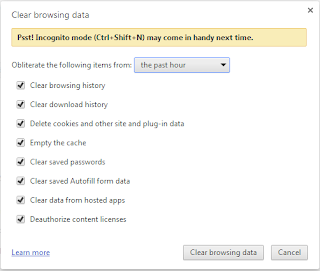 Whenever we try to clear browsing history, chromes tells that there is incognito mode to use, is Google worried if you clear your entire browsing history from chrome? What does Google do with your browsing history? Here's a clear evidence, "YouTube", Google's YouTube shows video contents relevant to our browsing history stored in chrome. that's how your information is used to make you use their product(YouTube) more than what you do normally. 2. why should chrome has separate log in session separating it from other google products. when you logged in chrome, also when you logged in some of other google product like gmail, when you signout of gmail,chrome logged in session wont go. chrome separate login session stores all your data ( you can control it by visiting settings, how many of us do that, what about people who doesn't have enough computer experience to change the settings ) user specific data stored in each of our google account right from browsing history to form input data's. 3. How does google map works - showing traffic information in the road we travel. It does collect our location information including in which speed we are traveling, it collects every one who uses android mobile or signed in to google map atleast once and using some algorithm it gives back. 4. What will happen with Google Glass? 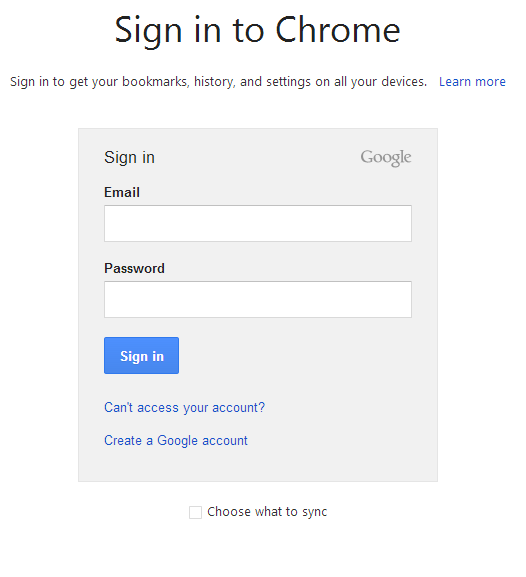 At first time when you open Google Chrome, it asks you to sign in with Google account. How many of you signed in without knowing that it is a log in for Google chrome to save your personal browsing data in your account? Many would have no idea initially that it is a log-in specially for Google Chrome. and would have signed in directly thinking it is normal google product sign-in. Obviously, we are very much benefited and addicted to all those products, and there are ways we can control sharing our data to a certain level, but how many of us are really concerned about it, going to settings, searching where it is and switching it off? 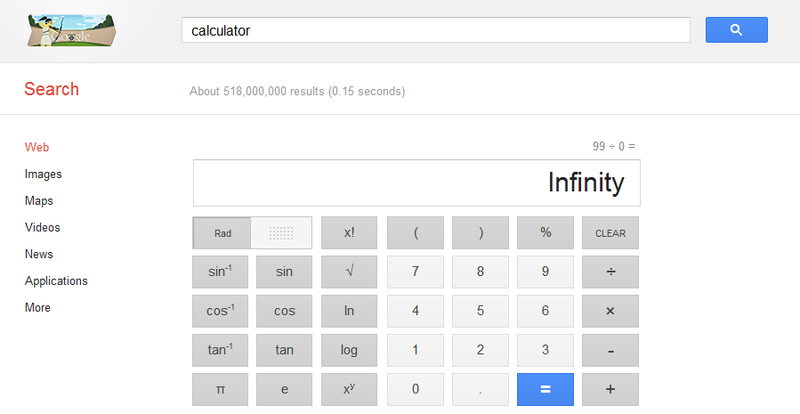 Google Launches its New Scientific Calculator. If you type "Calculator" or "99/9" in google search, you will get the googles All New Scientific calculator. Search it in Google - Calculator , 99/9 , Sin(90) , Sin 90, log10 , like any mathematical calculations. 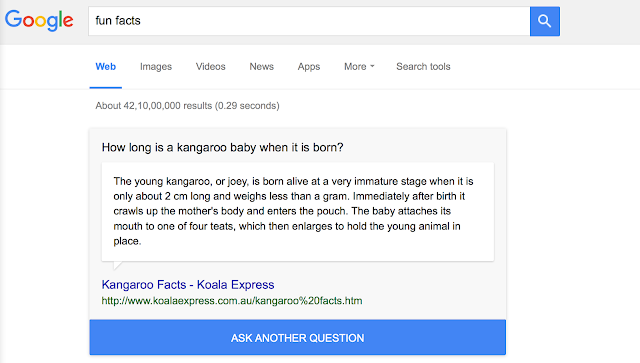 Its is as fast as google search results. The new Google Chrome Icon is very simple and looks like it's a 2 dimension of the old chrome icon. The new Icon has been changed automatically for all the users of chrome browser. it seems like update is going on for the application without the users knowledge. Simple things are always powerful - secret of Google. Have you ever tried Automattic currency Conversion in Google or Bing search, There lies this interesting fact.Just have a look at it.. perhaps wait! how about Exploring this interesting crazy fact on your own with the help of following steps. Step 1: Open your favourite Web browser twice (two windows or two tabs) open www.google.com in one and www.bing.com In another. Step 2: Type the following in both the search bar and hit Enter. Step 4: Which one is correct??????????!!!!!!!????????? Step 5: Well According to Yahoo (OMG!!! another search engine) Currency convertion at this page http://finance.yahoo.com/currency-converter/#from=USD;to=EUR;amt=1.3399 says both are wrong. Step 6: Well Let’s try some other site to verify it http://www.xe.com/ucc/convert.cgi?Amount=1&From=EUR&To=USD&image.x=63&image.y=21&image=Submit which says Google Data is better than bing and yahoo but not Accurate though !!!!!!. Step 1: just click X – close button on the right side of the Most Visited or Recently closed frame. Step 2: After clicking it, the thumbnail view will disappear. Step 3: Though the thumbnail view disappeared, u can access the most visited and Recently closed items through links on the left down of the page in a simple view. Step 2: You will have your recently visited links poped up, now click the “Most Visited” link in the poped up window. Step 3: now the Most Visited view will be appearing in the top of the page, click the arrow on the left side of it. Step 4: That’s it You have your thumbnail view of Most Visited items back. Step 5: Do the same for Recently Closed items . Google browser Chrome - one of the newest widely used browser, has a funny display problem which is exposed, try this for yourself and have a look at it.. 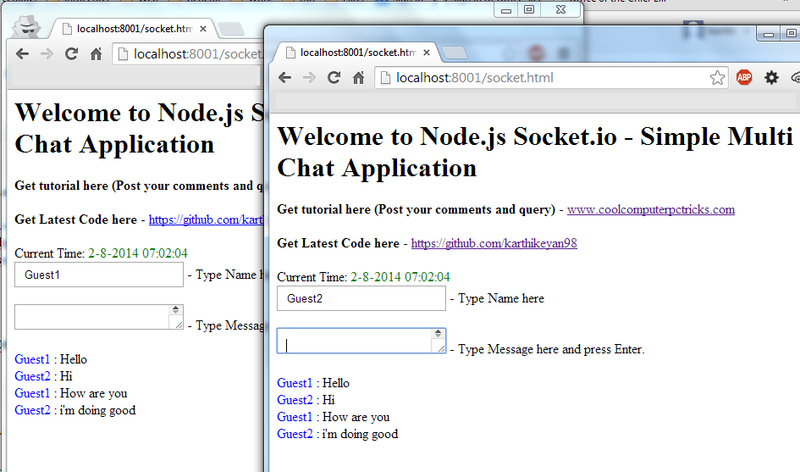 Step: 3 - Open any of your contacts chat window just like chatting ( but we not gonna chat here). 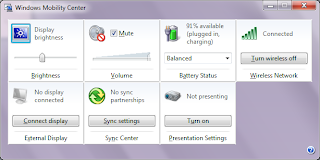 Step: 4 - with your middle mouse button - click hold and drag down on the down left corner of the chat box. see the below picture.. Step 5: Now you see the Nasty Trick of browser scrolling out the window itself. the chrome browser scrolls outside its level.. this makes browser lost its screen display area. now go to address bar and browse other sites and have a funny display out of it..
You’ll notice that after the new text string has been entered the Compile Script button that was grayed out is now active. I won’t get into what’s involved in compiling a script, but suffice it to say it’s going to make this exercise worthwhile. Click Compile Script and then save the altered file using the Save As command on the File Menu. Do not use the Save command – Make sure to use the Save As command and choose a different name for the file. Save the newly named file to C:\Windows. 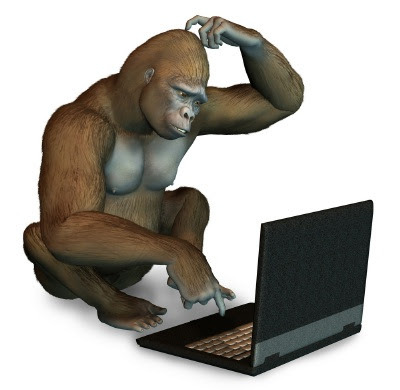 1) Don't try to modify a program by editing its source in a dissasembler.Why? because that's for programmers and assembly experts only. 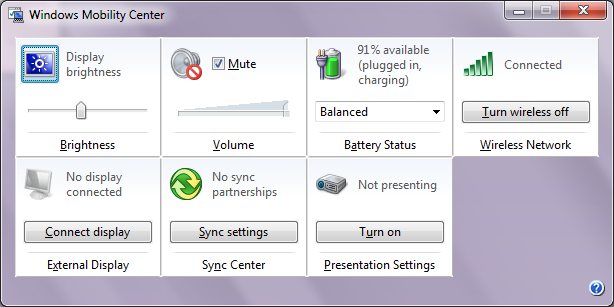 *Icon: You can view and change the icon(s) of the program by double-clicking the icon section,chossing the icon, right-clicking on it and pressing "replace resource". After that you can choose the icon you want to replace the original with. 2. Now create a new string Value in the right pane name it LegalNoticeCaption and enter the value that you want to see in the Menu Bar. 3. Now create yet another new string value and name it: LegalNoticeText. Modify it and insert the message you want to display each time Windows boots. Step 2 - When you name it hold down "Alt" and press "0160" this will create and invisible space so it will apper as if it has no name. Step 3 - Then right click in and select "Properties" select the tab "customize"
When you have saved the settings the folder will be invisible to hide all your personal files.